Once Wal Mart founder Sam Walton asserted like this, “There is only one boss, He is the customer, and he can fire everybody in the company from the chairman on down, simply by spending his money somewhere else”. That’s why all of successful companies heavily focused on customers & strongly committed to marketing. If an organization can effectively use its owned resources by using unique competitive strategies, the profitable survival of that entity can’t be stopped to anyone. Ben & Jerry is a provable illustration which imply the situation by becoming the most demanded desert brand of all its markets. 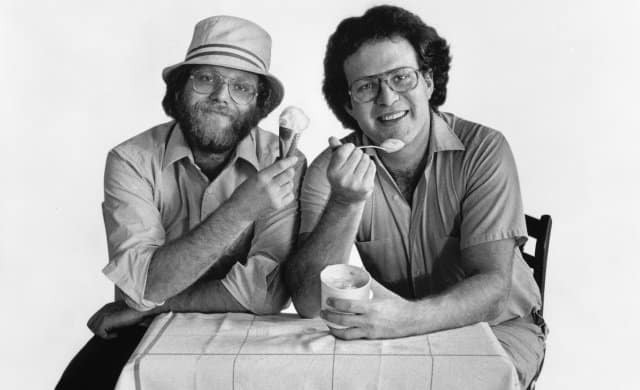 Upcoming paragraphs expect to figure out the successful journey of Ben & Jerry which explores how they become market leader by deploying the combined essence of strategic capability, competitive advantage & unmatchable customer service. As a result of executing the environmental & socially responsible strategy they always produce natural & innovative products. There is a trend to use healthy foods like non-fat, sugar rather than using junk foods in US society. Ben & Jerry launched low fat frozen yogurt, cholesterol & lactose free sorbets by using pure spring water & best fruits since 1991 & 1996 respectively to achieve competitive advantage by responding to the trend. And also, they have classified the ice creams & yoghurt to meet the customer demographical differences. In 1989, the competitors had used artificial growth hormone to make the products. The public confidence of the wholesomeness of the dairy products was damaged by this trend in US. Not only that, it harmfully affected on the family farming. Even the situation of the country was not good for the dairy products, the demand for Ben & Jerry ice creams remained as same. because they never use any harmful chemicals for the manufacturing process. The hamper again pops up in 2007 by US Food & Drug Administration declared that “Cloned animals was safe to eat”. At this moment, they have showed their disappointment regarding this decision & urge Americans to speak out against cloning. They didn’t stop by taking only these steps, as they ‘ve clearly mentioned in their mission statement, Ben & Jerry promises that not to make negative impacts on its environment while encourage sustainable agriculture. Extremely safe & eco-friendly food production has recurring in the plant of Vermont over the years. The environmental concern objective sometimes made profit objective down. There is an action to change the package of “Peace Pops” with plastic wrapper & paper box instead of complete plastic cover to enhance the customer satisfaction furthermore. But it was going to increase the packaging material cost by $152,000 per annum. These are the major foot notes which aid to enhance the creditability of the consumer onward Ben & Jerry products furthermore. In other hand having strong customer base is never let a company to defeat from the rival. The company is clearly use differentiation strategy to gain competitive advantage. To do so the founders count on quality, innovation & social involvement. Three qualities resulting from company’s mission & resources & capabilities. Mixed all together, it creates key success factors that make replication from the competitors very difficult & that allow to maintain the competitive advantage on the long run. Diversification is a form of business development. Small businesses that implement the strategy can diversify their products range by modifying existing products or adding new products to the range. But the systematic risk like the impact of inflation, exchange rates can’t be reducing through diversification because this risk is not specified to a specific firm. If Ben & Jerry is going to do the diversification they must engage only with the highly uncorrelated products such as ice cream with kids clothing like that. Because the diversification with strongly correlated products may generate higher risk at same time. As an example if Air Line company diversified its operations with railway company they will have to face risky situation in same time because they are strongly correlated. Ben & Jerry is reputed in the world as the most demanded desserts because they have expertise in food processing over the 30 years. The result can be overextension of a company’s resources. To run properly, every division of a corporation, no matter how large, needs enough resources to maintain its infrastructure and operations or it will begin to decline. If, through mismanagement, excessive ambition or simple greed, a company’s directors seek to expand in too many directions at once, both old and new sectors of the company may suffer from lack of attention and insufficient resources. Businesses that diversify into realms that require added infrastructure, employee training and travel between widely separated areas run the risk of increasing their costs to the point where the value of the venture is compromised. Even the most profitable diversification involves increased costs and overhead. Businesses must carefully analyse the numbers before moving into a new area, to be sure they don’t spend more than they stand to make. The safest areas into which a business can diversify are closely related to what it already does, so there is pre-existing expertise and infrastructure available. A large percentage of business innovation happens in smaller companies that are tightly focused on a few technological or business goals. If these companies diversify too widely, this can lessen their focus, increase their bureaucratic inertia and reduce their ability to respond quickly and creatively to market changes. When leading innovative companies begin to lag, this results in a domino effect along the cutting edge of technical innovation, resulting in slower economic growth and a further decrease in innovation. The stories of such infamous and costly failures as Quaker Oats’ entry into (and exit from) the fruit juice business with Snapple, and RCA’s forays into computers, carpets, and rental cars. May be the these are the reasons which have underpinned the decision of Ben & Jerry to not to do diversification still. Would you recommend dual brand targeting for Ben & Jerry (Ex: Anchor & Ratthi FCMPs from Fonterra?) Why or Why not? Dual branding is also known as co-branding which means a marketing partnership between at least two or different brands those are independent providers of goods & services. Ingredient & Composite co-branding is the type of co-branding which can be used by the organization along with their strategies. 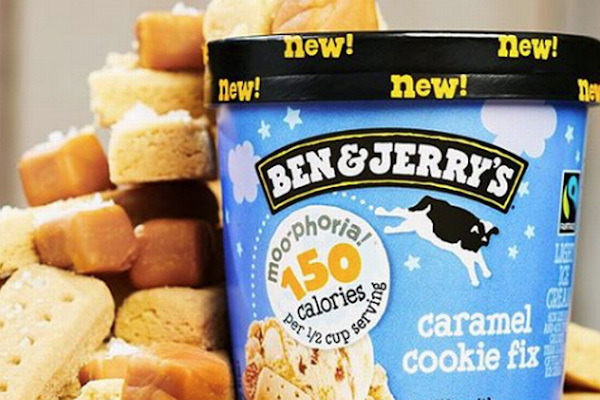 Ben & Jerry has introduced “Ice cream powders” by penetrating to homes. There is no a renowned brand for ice cream powder like other products of the entity. They can introduce ice cream powder with Cherry Garcia or Chubby Hubby which are both famous brands. By using this exercise, they can make renowned the latter brand of ice cream powder. There is a trend in the world to be highly concerned about the health by focusing on organic products. They have introduced a sorbet which has a renowned brand by focusing on the customers who expect fat, cholesterol free desert. Uniliver is the biggest ice cream manufacture of the world who own well-known brands like “Popsicle, Klondike & Slim Fast in US market by maintaining “Heart Brand” of Talenti, Breyers rather than Ben & Jerry. Then the healthy sorbet of Ben & Jerry can be given along with Slim Fast ice cream both possessing higher level of brand equity & result of combining the branding exercise is better than advertising the brand its own. Ex: BMW 18 & Louis Vuitton bag. By utilizing their, expertize knowledge they can introduce some kind of products by naming new brand to the lower income level people at low cost. But they must inform the consumers this is not a Ben & Jerry and it is a new company. Because if the existing market consumers knew that Ben & Jerry selling their products at lower cost to lower income people they will disappointed with the image of the company. Ex: Helanka is a company which is doing shoe retailing with higher cost by engaging high level of quality rather than DSI, Bata. Now days they are moving to “Budget Shop Concept”. It means distributing shoes at low cost while having lower margin. But they are targeting lower income people & also always hide to keep their secrecy. The consumers think that’s not Helanka & it’s a budget shop who is a competitor for Helanka. These budget shops are maintained with minimum cost cause no need A/C and other comfortable facilities cause it’s a budget shop & also the consumers are not expecting those facilities from a “Sale Shop”. There are lots of alternative products which are made by non-diary inputs such as “Luna & Larry’s Coconut Bliss” & “Raspberry Nice Cream” are the dominant brands which are made by coconut milk & new fruits respectively. Ben & Jerry also can introduce new brand without using dairy to become a challenger to the substitutes by converting this threat in to an opportunity. These imitation can be lead to higher profit because all the initial cost are already incurred by the mother company. The phenomenon of co-branding represents a significant disadvantage for smaller businesses that have yet to fully establish themselves in any market. Larger competitors are able to leverage already popular brand names to new products and compete in a way that new businesses may not be able to answer. This is one of the reasons that caused to the businesses to focus on areas where there is not already a significant amount of competition or an established brand. For brands that are less well known, co-branding may create confusion. A consumer may be familiar with one brand and inclined to buy it, but then be put off by its combination with another that he is not as familiar with. Smaller companies in particular must be cautious with how they combine brands and take care to be sure that they are really complementing each other. Association with a product of lesser quality can damage a new brand. Recommend one marketing strategy for Ben & Jerry which is not found in the case text. Hallendoorn (Netherland), Heppenheim (Germany), Caivano (Italy), Saint-Dizier (Fransce), Gloucester (UK), Santa Iria de Azoia (Portugal), are the major competitors who have given a strong rival to Ben & Jerry by dominating renowned brand like Popsicle, Slim Fast & etc. Because of them, it is hard to get the attraction of the market when introducing new products, deciding prices, promotion & etc. Ice cream is a generic product & have a competitive market. It means, there are not higher level of entry & exit barriers to this market. Such as, Amy’s Ice Creams, Bliss Unlimited & etc. -Luna & Larry’s Coconut Bliss: Coconut milk flavoured with nuts, seeds along the delicious suspect Vanila & Chocolate. These innovative substitute ice cream alternatives are directly limited the prices & profits of Ben & Jerry. 47% of respondents consume ice cream weekly and 31% occasionally. Nearly 45% of 18 respondents preferred an ice cream with chocolate flavours. The subjects had significantly lower knowledge about functional foods (33%) and ice cream available with probiotic (18%). Advertisements and Newspapers were the main source of their knowledge about functional foods. ready to pay higher for foods product with health benefits. Ben & Jerry requires to do effective communication strategies with the involvement of health professionals and community based scientific programmes to make a success of its products in the market place due to the nature of consumer behaviour of dairy product market. Ben & Jerry has maintained supply chain management procedures with their suppliers in a favourable manner by managing them to release productive raw materials to achieve the ultimate goal of the entity which make delighted customer base forever. Ex: The suppliers are audited by the audit team of Ben & Jerry to confirm whether or not they are complying to use of Non-GMO by origin ingredients. 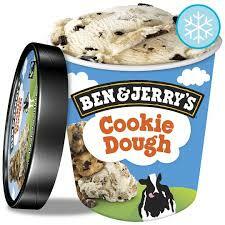 There is no much power engaging with its suppliers because they are under the control of Ben & Jerry. According to the diagram, the direct & indirect competitors of Ben & Jerry can be identified clearly. After that, the designing of the competitive strategies can be beginning by selecting the most proper strategy from among market leader, challenger, follower & nicher strategies. The Top Ten website has recently ranked the top ten best ice creams in the world like below, by analysing the responses of the consumers. The article depicts that Ben & Jerry is able to grab the competitive advantage of the world ice cream market by deploying their strategic capability in innovative way. Due to the saying of Theodore Levitt, the follower firms can be used product imitation strategy by copying the innovation of Ben & Jerry. The overall cost (new product development, distribution & promotion cost) of the innovative product is incurred by leader firm. After that, the follower firm imitate the products as same as original or doing small differences to the product. As a result of that, the follower can earn higher profit than innovators because of they have to spent only few cost regarding the new products. Like Hyhundai, Kia in Korea. This exercise can be threat to Ben & Jerry even they are introducing innovative products to the market. Therefore, in near future Ben & Jerry will have to rank down from the market if they couldn’t do innovations like a chain. Even though being a subsidiary with Uniliver gives more benefits to Ben & Jerry, the future of the company is in trouble because of the emerging competition, substitute & etc. According to my point of the view, it is better to be a leader in a niche market than possessing unstable market leader position in the broad market like Nike, Addidas is doing. It’s hard to satisfy all the customers in the market because due to the behaviour of buying consumers are differentiated to one by one. Therefore, Ben & Jerry must focus to make delight the customers by offering more value to the customers than they expect. BMW, Apple Computers have become to the market leaders because of they are using these target market strategies. For this Ben & Jerry can use flexible market offerings. The consumers have diffused preferences which means the demand of ice cream is varied due to the nature for brands. In Sri Lankan context like Elephant House Vs Cargills. I love your wp design, where would you get a hold of it through?